Anyone who is watching the news right now has certainly noticed that Istanbul is currently being affected by a series of escalating, increasingly dangerous protests. 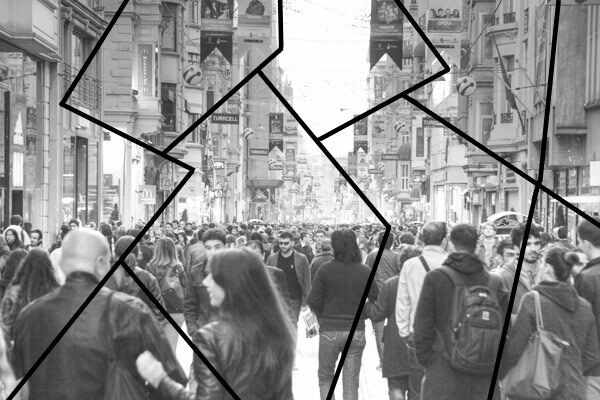 What started as a simple environmental campaign over a redevelopment project in Taksim has morphed into a series of violent conflicts with the Erdogan-led government. Istanbul today is as exciting as it was in 1987 when I first visited the city with my dad. 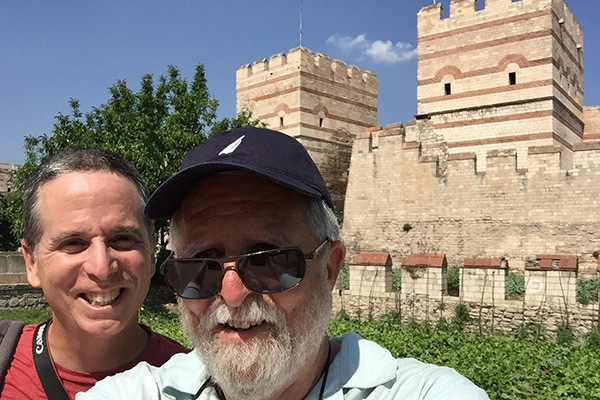 Then, on a short 2-day tour, we saw the Grand Bazaar, strolled through Topkapı palace, had a scrumptious meal of İskender kebab and went on a scenic Bosphorus cruise. 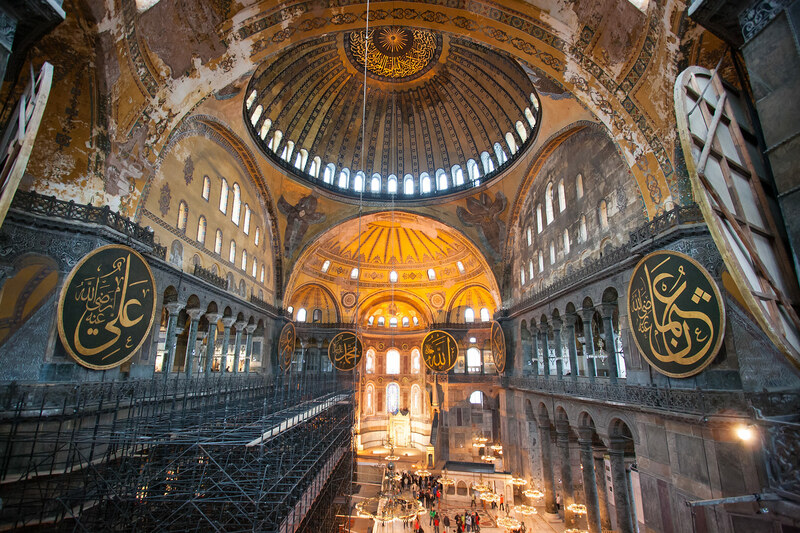 Twenty-six years later, visitors to Istanbul can still enjoy the very same things, only with one notable difference: cost! When I think of Istanbul, I immediately visualize huge bins of rose-flavored Turkish delight. I see winding cobbled streets with delicate minarets rising in the background and corner cafes with baklava and cups of thick, aromatic Turkish coffee. The call to prayer echoes in the background and tourists and touts collide in a strange dance of humorous, ritualized negotiation. But there’s more. 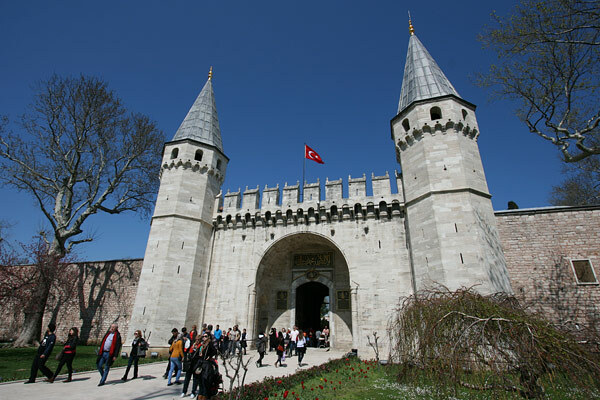 The Topkapı Palace is a great example of why you should take in monuments twice. When I first visited in 1992, my short guided tour zoomed through a series of relatively modest, rather scrubby chambers. I was left underwhelmed and somewhat confused as to why the Topkapı was supposed to be one of the greatest surviving palaces in the world. It certainly didn’t feel that way. 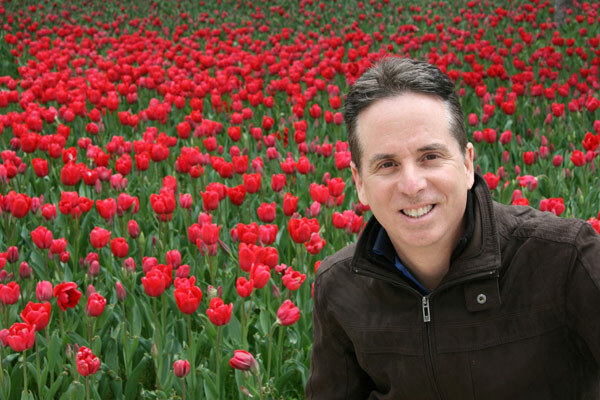 When Thomas and I returned to Istanbul in 1993, we skipped the Topkapı and visited the Dolmabahçe Palace instead. On this trip, when we heard entry tickets were now a whopping $22 US – more than Angkor Wat – my first thought was, “NO WAY IN HELL AM I PAYING THAT FOR A BUNCH OF RUN-DOWN ROOMS!” But gut instinct told me to go again. First Paris with my family, then Istanbul with friends. 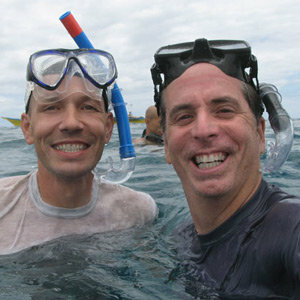 Our latest travels have been especially social – and we’ve been having a blast. Friends and Istanbul experts Özgür and Leonie went way out of their way to make sure we (and the rest of our group) got more than the typical tourist’s view of Istanbul. 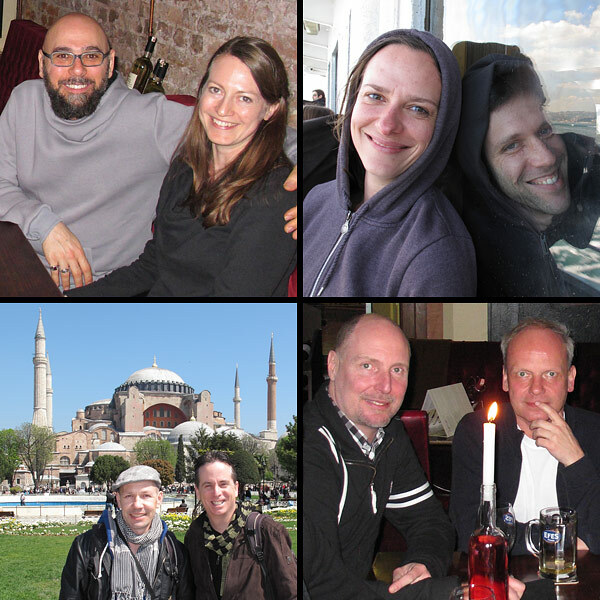 They showed us as well as friends Armin, Marc, Petra and Uri a few of their favorite local hangouts. We’re not big shoppers, but we love to wander through markets. Street markets, food markets, fish markets, spice markets, animal markets – we love them all. From China to Guatemala, Sweden to Madagascar, we’ve seen the best of the best. So we can say with some authority that Istanbul has some pretty spectacular markets to choose from. Of course, the two most famous – and visually stunning – are the Grand Bazaar and the Spice Bazaar (also called the Egyptian Bazaar). 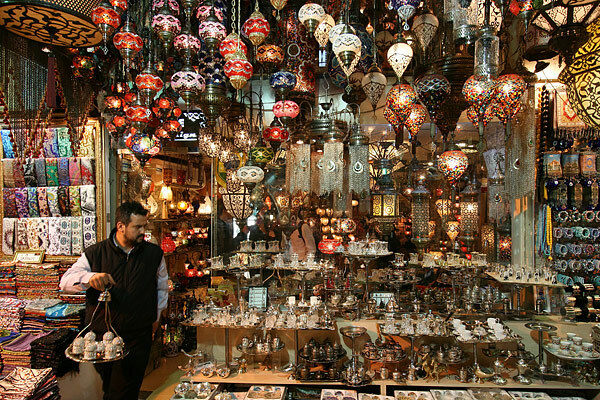 Halls of carpets, walls of colorful lamps, and shops full of jewels, spices and Turkish delight will fulfill any visitor’s wildest dreams of Ali Baba chic. 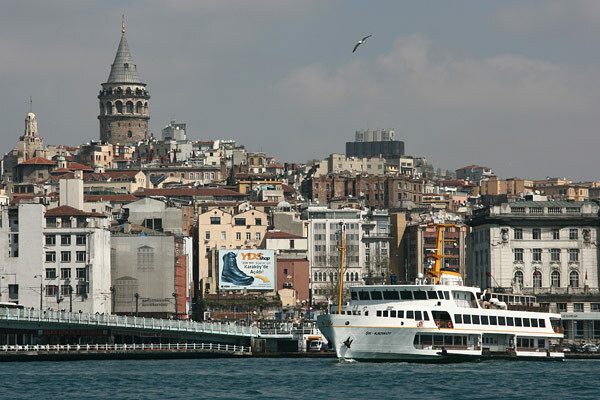 Turkish friends can stop groaning; people need a little exotic romance in their lives. Plus, they are extremely photogenic. For some reason, I was especially intrigued by the beautiful stained glass windows in Turkish mosques. 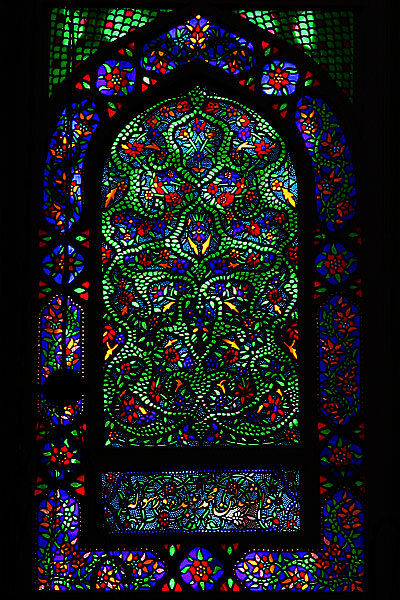 Many Westerners never really see pictures of Islamic stained glass windows, so I thought I would put one up to let our viewers contemplate an art form that they may not associate with Islam. Most of the windows in the major mosques were quite high and difficult to photograph, but I got this shot in the Mihrimah Sultan Mosque in Edirnekapı near the city wall. If you are wondering why mosque decorations, stained glass, and Islamic arts in general do not usually depict any people or animals, Wikipedia has a decent article on aniconism in Islam. That may seem a bit too esoteric at first, but it really helps shed light on the heat behind the Muhammed cartoon controversies, which many Westerners find quite hard to understand.